In the spirit of The Star Wars Adventure Journal, this is the premier issue of a new periodical published by a community of Facebook Star Wars D6 fans that I am a part of. This features contributions from a few members of this site. And about a third of the way through it is the Rancor Pit ad designed by cheshire with original art by hisham. Like the pic on the cover, though it looks more Traveller than Star Wars. The character sheet doesn't blow up well when I increase size for these old, tire eyes. You got Eric Rodriguez to help! Yea! Go, ERIC! Eric's map doesn't blow up well, either. A solo adventure! That's AWESOME! Faithful Mina is damn cool looking. The ship. Love the pic of the chick, too. Hand drawn deck plans? Ha! I'll take it! Thought after looking at ever page: THIS IS GREAT! Looks like there's some real usable stuff in there. Downloaded and kept in Star Wars folder. Thank you Whill, for posting it here! The Adventurer's Journal is strictly a work of love for the game. Wajeb... I appreciate all the praise. I hope you can get some use out of it. I'll pass along your words to the group. As always, we're always looking for contributions for the upcoming issues. Aug 3rd is the next release date for issue #2. #2 will be dedicated to the Force, so it should be interesting. We'll try to keep things in mind for making some of the supplement info more accessible and readable when blown up for use. #2 will be dedicated to the Force, so it should be interesting. Someone should tackle the new Force Powers that we see in the new movies, like Kylo Ren stopping that blaster bolt in mid-air, or Luke's doppelganger power. I don't know about Kylo Ren stopping the blaster bolt, but Luke's doppelganger power has been covered. One option is the doppleganger power introduced in the Dark Empire Sourcebook. Another option is the combination of illusion and illusion bond powers, both of which have been introduced in Jedi Academy Training Manual from WotC and have been converted from Saga d20 to d6. The conversion is listed in the forums here. Would you say they together also partially covers the bond Snoke made between Rey and Kylo? An article with new powers and tricks how to use existing to replicate them would be nice. I've actually been thinking about doing something like that. Okay, how about this. Want to work on something together and see what we can knock out? My time has been pretty limited these days, and I've got a comission for writing where there's actual money (though not much) involved. But if the wheels are turning in your brain, Forceally, I wouldn't mind collaborating. It'll be like getting the band back together from our SAGA days. Funny, i get a 404 error when i click on the link. Sorry, I edited the folder where that download was and forgot to update the link here to match. It's fixed now! Let us know what you think. Thanks for the safe download link, I've got it saved and I'll thumb through it at some point. This is so cool! I can't wait to sit down with it! Thanks! 150 pages. Wow, that must have taken a lorra work. 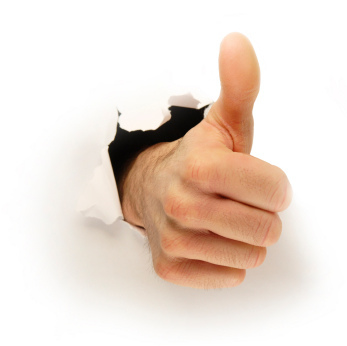 Man this site needs a thumbs up emoticon..